It's funny that here we are in what is nearly the second decade of the 21st century and we still see 1980s sales techniques to be relevant. A cynical person would say it's because of the vested interest in the industry, I'm not cynical so I wouldn't say that. Now it's worth mentioning, here at Digital Leadership Associates (DLA) social-experts.net we work in the enterprise B2B space. I know people who use cold calling for selling low value transactional items where decision can be made low down in the organisation. There is certainly a place for cold calling. 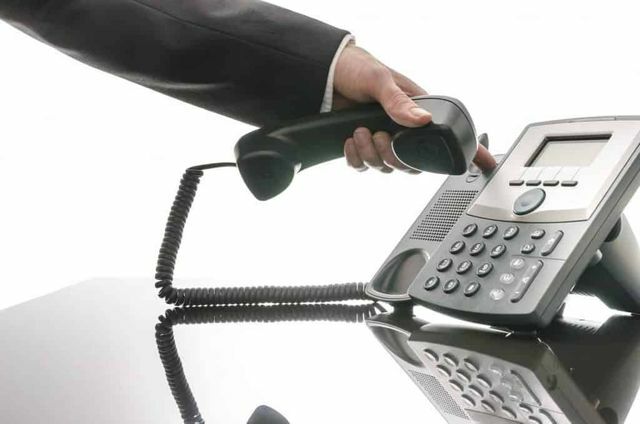 Now if you follow these blogs you will know we have already looked at the efficiency and effectiveness of cold calling. And I'm sorry to say, even Tony Hughes (no relation) has a blog that states that social selling is twice as efficient as cold calling. Now we have put out a blog stating that social selling is 10 times as efficient, but I'm happy to compromise at twice as efficient. Either way, that means you can prospect twice as fast with social as you can with cold calling. Or to put Tony's blog another way, if you use cold calling you are falling behind. We have seen a massive switch in the market in 2018 a lot of it helped with the introduction of GDPR which totally changed the world of sales. No longer can you keep pushing people and bullying people to buy, as with the world of Jeb Blount. That macho, I'm going to ring them everyday for six months. It's not possible for three reasons. 1. Technology - Standard functionality on your phone allows you to block people, yesterday this happened. Cold caller: Is Tim there? Tim: Cool ..... I then blocked them, standard iPhone functionality. If you phone me everyday, I'll just block you. 2. Legislation - While GDPR doesn't stop people cold calling, I can ask for my right to remain forgotten, as I do with callers and unsolicited emails. 3. Your Brand as a company. - Anybody who cold calls knows this pissed people off and they are playing Russian Roulette with their brand. When somebody cold calls us we know a number of things about the company. A. They don't care about the customer. B. They are desperate. C. The salespeople are lazy and D. The Marketing department have run out of ideas. It's pretty damning when you think that is the message you get over about your company with each call. I'm sorry but there is no way back. The internet, mobile and social media have changed everything. It's a bit like walking into a room and the door closes behind you. The world has changed, so has sales and while you may try and delay the change as long as possible, by then your competition will have accelerated past you and you will never catch up. It’s time we put this question to rest once and for all! I can’t even begin to tell you the number of times people ask me this question either when I’m speaking or via email. Whenever I’m asked this question, I always ask the other person for their answer to the question before I answer it. At least 95% of the time, the response I get is “no” followed by some explanation about how they’ve never been able to make the telephone work. Once they finish talking, I ask them if they like getting phone calls. I get the same answer about 95% of the time: “no”. Let’s cut to the chase and call out the ugly duck: the person who says the telephone doesn’t work for prospecting is the person who doesn’t like talking on the telephone.